It's been some time since I've written one of these box office recap-type articles, but as I now have more control of my review show via Movie Tavern and can guarantee a consistency in their production it seemed a good time to pick this back up as one more way to promote these video reviews. Unfortunately, the movie we'll be kicking this off with is one that decided to open the second weekend of Captain Marvel's release as well as being the lowest earner in a crop of three brand new releases over the St. Patrick's day weekend. Coming in outside the top five at the box office in the number seven spot, director Rupert Wyatt's Captive State was unable to garner much of an audience, delivering just $3.1 million from 2,548 locations for only a $1,242 per theater average. The film also received a "C-" CinemaScore from opening weekend audiences which is, well, not good...and can only mean this thing will drop harder than a rock and disappear just as quick as it appeared. The film played to an opening weekend crowd that was 55% male with 66% of the crowd coming in under the age of thirty-five while all I can personally attest to is the fact there were only two other people in our theater the Thursday evening before Spring Break officially commenced. The other new releases of the weekend were Wonder Park, an animated feature from Paramount that debuted in second place with a domestic total of $16 million, and Five Feet Apart, a YA adaptation starring Riverdale's Cole Sprouse and Haley Lu Richardson (Edge of Seventeen, Columbus, Support the Girls) as two teenagers with life-threatening illnesses who meet in a hospital and fall in love. The romantic drama opened in third place delivering an estimated $13.1 million. Of course, Marvel Studios' Captain Marvel remained atop the box office in its second weekend of release with a $69.3 million sophomore frame. This pushes the film's domestic cume over $266 million after just ten days in domestic release while the film added $119.7 million from 54 markets bringing it's global total to $494 million for a worldwide cume now well over $760 million. As always, be sure to follow the official Initial Reaction YouTube channel as well as on Facebook, Instagram, and Twitter where you can find a new review (or reviews) each week! 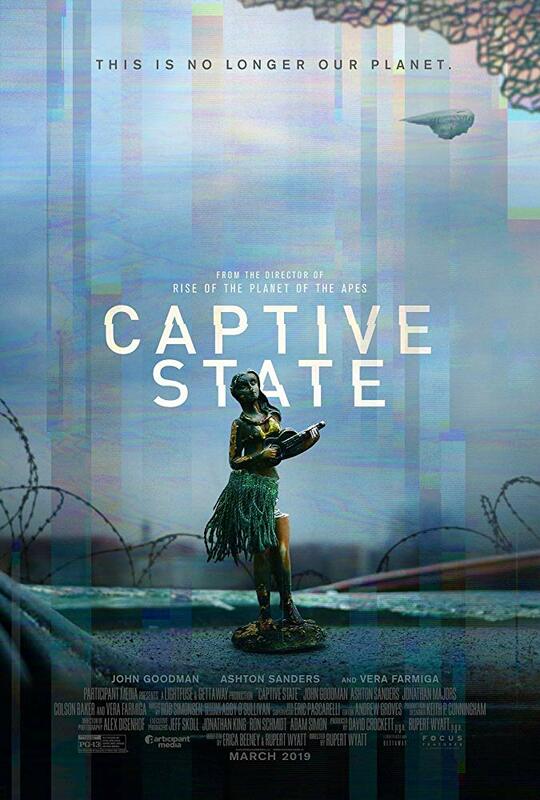 Read my full Captive State review here.